29th March 2012. 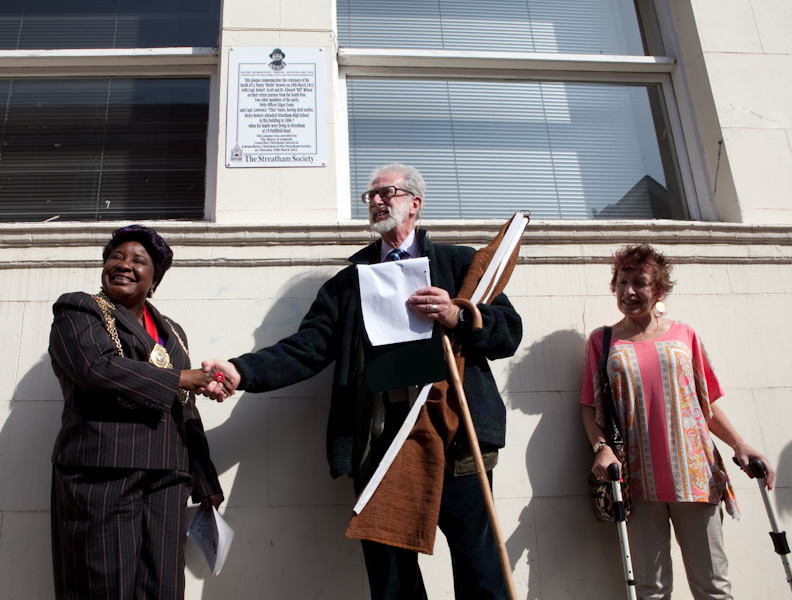 The Streatham Society are unveiling a plaque to commemorate the work of Lt Henry Bowers, who grew up in Streatham, and was part of Robert Falcon Scott’s famous expedition to the South Pole. Today is 100 years since Scott’s last diary entry before the death of himself and Bowers in 1912. 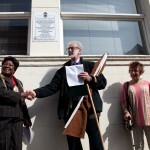 The Mayor of Lambeth Christiana Valcarcel unveils the plaque with Brian Bloice of The Streatham Society. To the right is Jo Hooper, the great neice of Fred Hooper who was part of Scott’s expedition.